With the locally legal yet federally illegal U.S. cannabis and CBD (cannabidiol) industry exploding in the past several years, the U.S. beverage industry, with its robust distribution network, has recently emerged from the sidelines, not wanting to miss a potentially huge opportunity. While some, like Pepsi, are still sitting out for now, many brands are sidestepping the conflicting U.S. federal and state laws and creating partnerships with Canadian cannabis companies, as recreational and medical marijuana sales just became legal across Canada. Molson Coors Brewing’s Canadian business division recently formed a joint venture with Hexo, a Quebec-based recreational cannabis brand, to make non-alcoholic, cannabis-infused drinks north of the border. Other examples include Breakthru Beverage Group, one of the largest alcohol distribution companies in North America, which just signed a letter of intent with CannTrust Holdings, a 40-plus-year-old pharmaceutical and healthcare company with experience in medical marijuana production. Constellation Brands of New York state recently invested $4 billion in Canada’s Canopy Growth, a leading medical marijuana company. Even Coca-Cola is reportedly considering getting in on the action. With all of this industry change and disruption, what role will social media play? Despite the occasional pitfalls of marketing alcohol products on social media, in the past several years, beverage brands quickly recognized social media’s potential and, in many ways, have mastered the challenges. 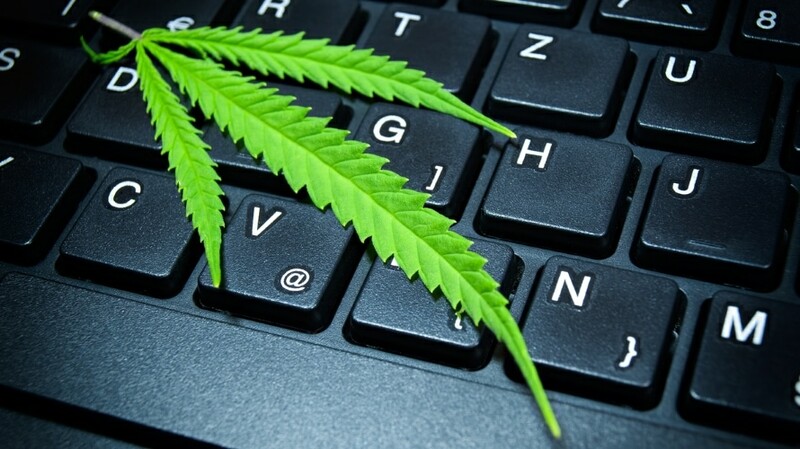 As they flirt and begin to dip their toes into the cannabis market, social media will again be a key factor of their success or failure. However, a different set of challenges will emerge. Here are a few that immediately come to mind and can perhaps be a blueprint for how to approach this opportunity going forward. First, as they consider and anticipate legal cannabis, beverage brands will want to meet or exceed the voluntarily adopted guidelines for advertising and marketing alcohol, set out by the three major trade associations—the Beer Institute, the Distilled Spirits Council of the United States (DISCUS) and the Wine Institute—but adapted for cannabis products. The current guidelines center around: placing paid media where the audience is adult (which makes social platforms a bit challenging); requiring age verification for direct user interaction; and digital marketing respecting user privacy. Those marketing legal cannabis products will want to address the inherent geographic challenges, based on the patchwork of legality in the U.S., and likely employ geofencing. Second, as we’ve seen from a variety of online movements, as well as alleged election tampering, social media can be an incredibly powerful force in changing minds. Alcohol and beverage brands can harness the power of social to not only educate the industry at large, but also to educate the general populace about responsible use of cannabis. This will, over time, further increase acceptance in the U.S. and should lead to a gradual shift in laws surrounding cannabis usage. Third, when developing a comprehensive social media strategy for cannabis-related products, beverage brands should choose platforms wisely. Not all social platforms will make sense. For example, if two-way dialog is an important component of the strategy, then Instagram may not be the best platform choice. Fourth, much like with alcohol brands, social listening doesn’t just make social engagement more effective and open your eyes to general sentiment around your brand, product and competitors—it’s a must-have. Regulatory guidelines state that alcohol brands must regularly monitor user-generated content on sites or pages controlled by the brand and remove content that is inappropriate or that promotes irresponsible or underaged drinking. It is safe to assume that the same will be expected of UGC on sites promoting cannabis products. You’ll want to both tweak your post-ability settings and remove any inappropriate content promptly. Since you can’t remove a tweet that you didn’t post, this applies mostly to your blog, Facebook Timeline and Instagram comments.